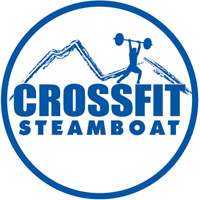 Members: If you are already a member of CrossFit Steamboat but just want to hone in on your skills, work on technique or if you just need a little one on one attention we charge just $55/hr. Non-Members: If group classes just aren’t your thing then personal training could be the best fit for you. Whether you want to do CrossFit, or focus on mobility and stability, or perhaps more of unweighted functional exercise program we can work with you to design a program that works best for you!